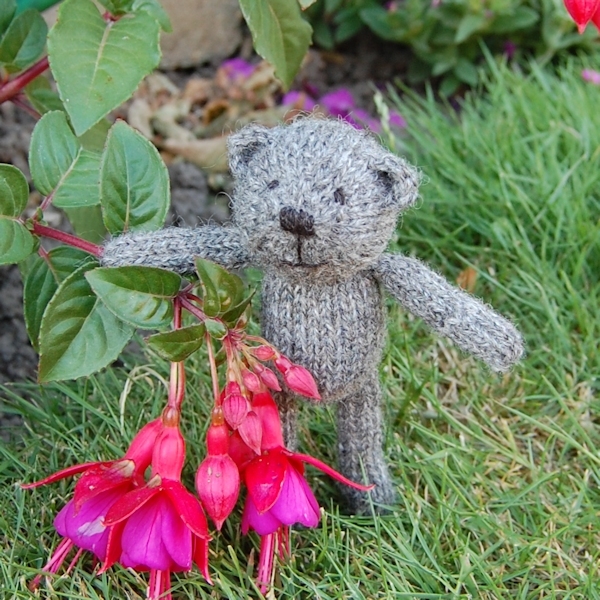 This month we are introducing some very special little bears! 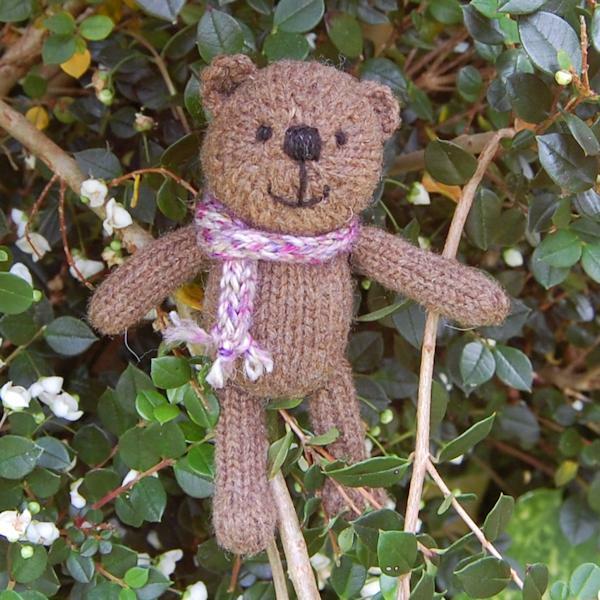 Our new range of Little Scraps teddy bears are hand knitted from the rare breed wool left over from making our larger teddy bears. In an era when most items are considered throwaway, our fully sustainable raw materials never go to waste. So, having a stash basket of smaller amounts of our hand spun wool and needing a good use for it, Little Scraps seemed the obvious solution! 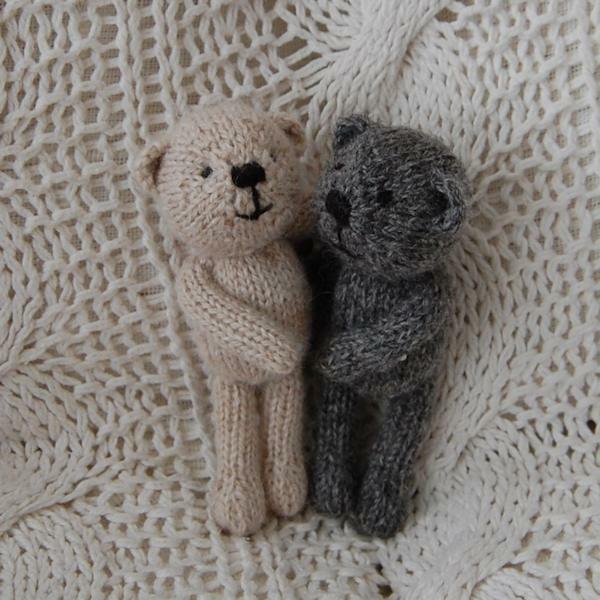 These adorable little characters, measuring just 5.5 inches, are all as carefully hand knitted as our larger teddy bears – these little ones have embroidered faces, rather than the usual glass eyes, giving them a real hand made rustic appeal and ideal as they are also safe for babies and young children. 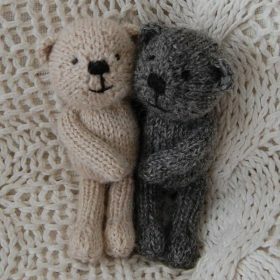 As well as being safe for children, they make an irresistibly cute companion for any adult bear lover too. 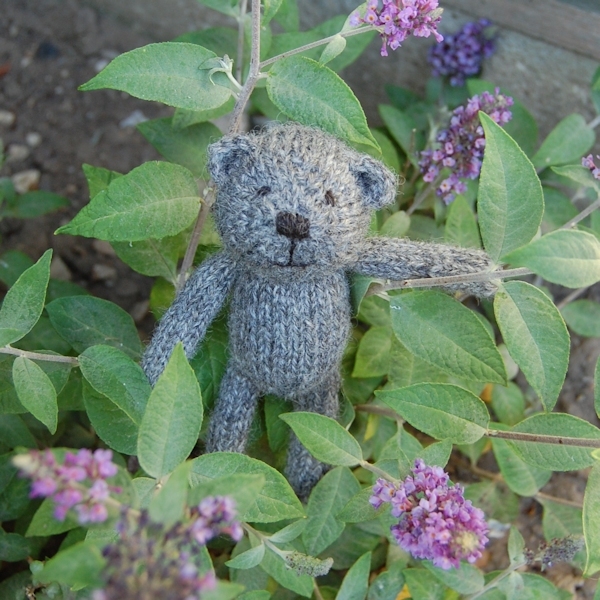 Take a look at our new range of Little Scraps as we will be regularly adding new bears as they are knitted. Each one is a one-of-a-kind creation and is available immediately.